Back in uni I used to work as a receptionist at a physio/Pilates studio. When it was quiet I used to jump on the reformers and do some movements that would help my neck and thoracic spine (between the shoulder blades) and I found it really helped. I always avoided the core exercises though… Ha! Silly me. I hadn’t really done Pilates since then, when I met a colleague of my boyfriend’s at a barbecue recently. Kezia is a geologist but runs Pilates classes on the side. She is also an all-round fitness buff and has a nutrition business. I went along on a Monday night recently to check it out. Living in a remote area it’s difficult to find specialised Pilates classes outside gyms (plus a physio once told me that Pilates at the gym isn’t real Pilates! ), so Kezia’s classes are a great option. I dragged my housemate Bec along with me and we went through the movements, Kezia helping us beginners with our form along the way. I had a really sore back that day and I found it really helped. The class was challenging but not in a painful “I wish this would end!” way. 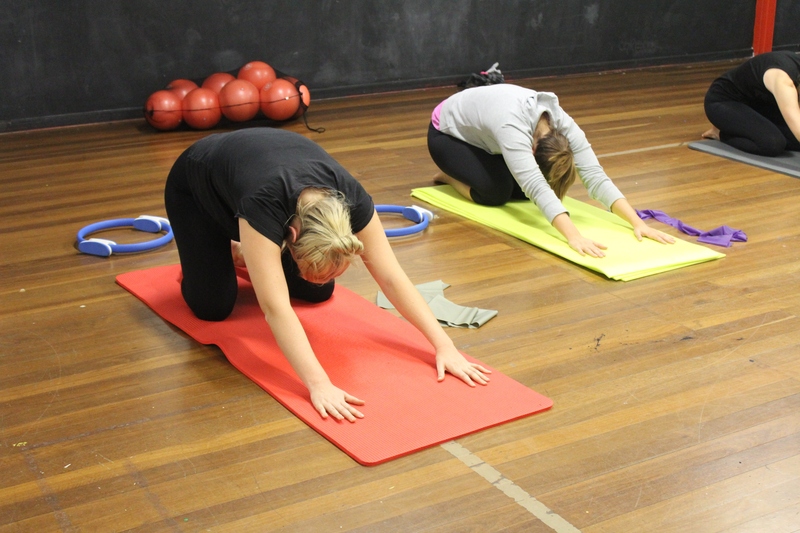 If you are living in Kalgoorlie and want to improve your core strength, posture, flexibility and control you should try Kezia’s classes. They run Mondays at 4.30pm and 5.30pm, Tuesdays at 5.30pm and Wednesdays and Thursdays at 4.30pm at the PCYC on Egan Street. Check out her facebook here. This entry was posted in Misc and tagged fitness, Pilates, Pilates classes. Bookmark the permalink. Thanks so much for this Bec! It was great having you. Thanks for writing the piece! No worries 🙂 thanks for having us!